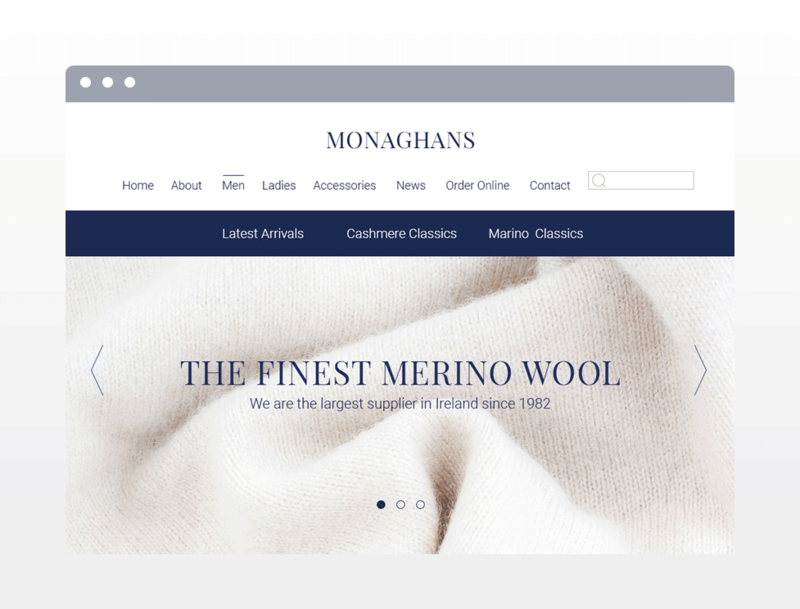 Monaghans Cashmere are purveyors of the finest cashmere and woollen garments. 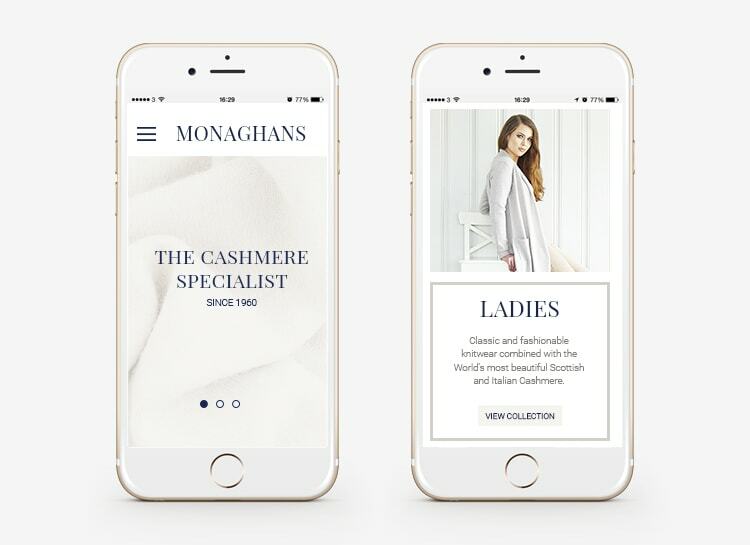 Having been tasked with redesigning both the logo and website, the exSite team wanted to do justice to the style and elegance displayed by the models in the photographs provided to us. We restyled the logo and created a brand that we feel reflects the understated yet fashionable design of the garments. The various product categories were arranged in a logical way with the intention of replicating the feel-good experience of being on a relaxed shopping trip in town. There is also a blog section informing customers of special offers and general news items.